With mom and dad both in executive-level positions, Carl and Sharon Vogelpohl have to work hard and be intentional in order to make family time their number one priority. 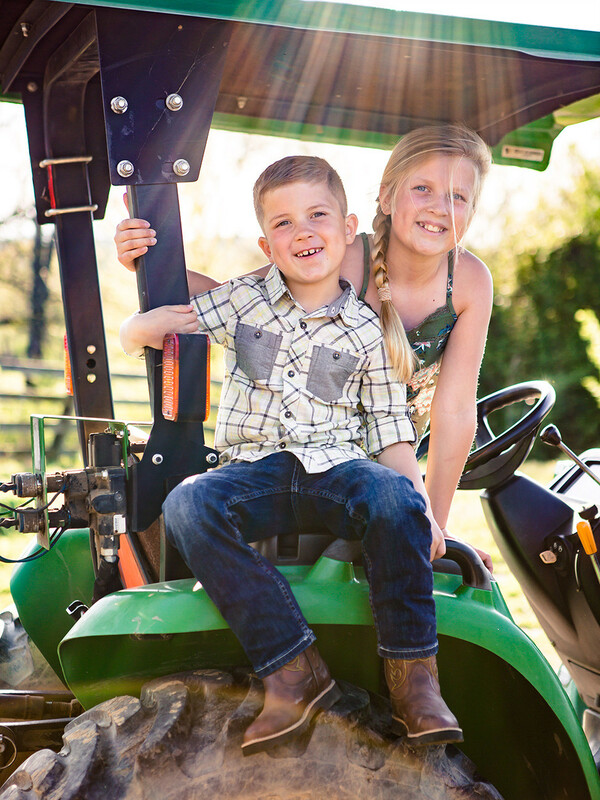 Spending time working on their farm together is one of the things that Sharon Vogelpohl says makes their family unique. In the Vogelpohl household, you never lose hug privileges. You can lose TV privileges, dessert privileges and a host of other things — but mom and dad’s unconditional love will never go away. That’s what they call hug privileges. 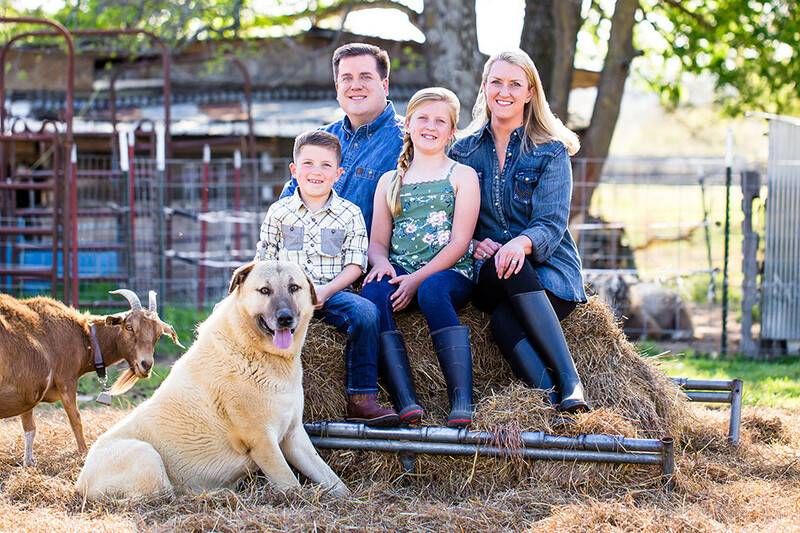 Carl and Sharon Vogelpohl set their expectations high for their kids; they’re thinking ahead and raising Carson, 9, and Jonathan, 6, to be responsible adults. But as Carl says, the expectations in the family go both ways. Some of the other expectations that Carson and Jonathan are held to include responsibility for homework and simply being kind and respectful to those around them. But of course, all of this is within reason for two elementary school kids. And while they are expected to be responsible for their own school work, mom and dad are more than ready to take them the store and assist with a project — as long as they’re prepared. As executives in their respective companies, you would expect nothing less from Sharon and Carl. They’re both high achievers and goal-setters themselves and are working to pass those traits on to their two kids. Sharon is the principal and president of Mangan Holcomb Partners, a digital marketing company, and Carl, formerly the chief of staff for the attorney general, is the president of Split Rail Consulting. Their jobs are nothing short of demanding. 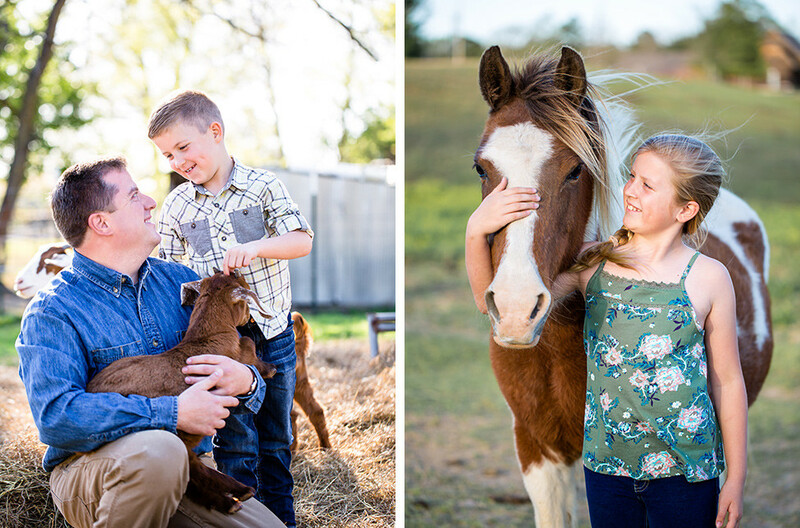 Sharon and Carl dated for seven years before getting married and then were married another seven years before having kids — so they had ample time to thoughtfully and intentionally plan out the way they would parent and operate as a family. Yet no amount of conversation or experience as business leaders could fully prepare them for the challenge of parenthood. Jonathan and Carson Vogelpohl are learning at a young age about responsibility, teamwork and goal setting. As executives and as parents one of their core character values is to always admit when they’ve made a mistake. Teamwork is another key value in the Vogelpohl household. The family owns and operates a farm west of the city and everyone has responsibilities there to keep it running smoothly. They process chickens, clean out barn stalls, clip goat hooves and work on projects together. Carl jokingly calls their garage the “farm makerspace” where they work on hands-on projects together. He and Sharon both believe in letting their kids fail in order to make their successes that much more meaningful. She said that several years ago, Carson was at a bowling birthday party — her first time bowling. While other young partygoers used bumpers to bounce their bowling balls down the lane and into the pins, Sharon was firm that Carson was going to do it all on her own — without the help of bumpers. Carson was frustrated at first because, for the majority of her turns, the ball ended up in the gutter and the pins remained standing. 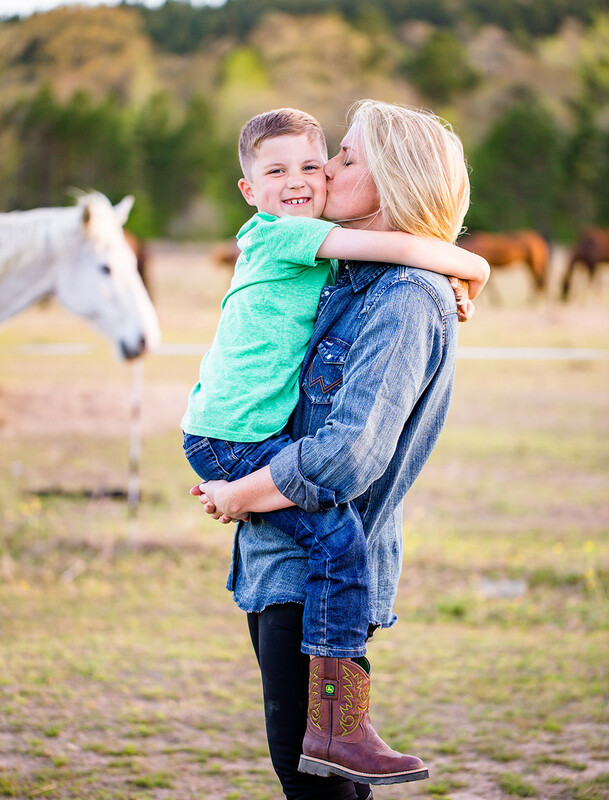 These decisions to create learning environments and push their kids out of their comfort zones are just a small part of the intentionality that Sharon and Carl bring to parenthood. Another element to their parenting and family strategy is that family always comes first — even when that’s not mom and dad. Sharon’s parents live in Hot Springs and Carl’s parents live about 30 minutes out of town next door to their family farm. Sharon said when she and Carl got married, they pinky swore to never move because they wanted their kids to be raised around their own parents. Oftentimes, they’ll avoid having to leave their kids at all and, as Sharon puts, it, “divide and conquer.” Dad will attend a work event and Mom will be at a kid's sporting event or vice versa. And that’s something that they are 100 percent on the same page about. As Carl says, “If you have a shared vision, then leadership gets really easy.” And that applies to business and family. Good leaders are also understanding that not everyone will do things the same ways that they do. Sharon agrees and said that for many of the major decisions, it comes down to listening to your emotions — not what anyone else is telling you. For example, deciding to be a working parent was an easier decision for her, but for some moms the pull between work and home can be overwhelming.